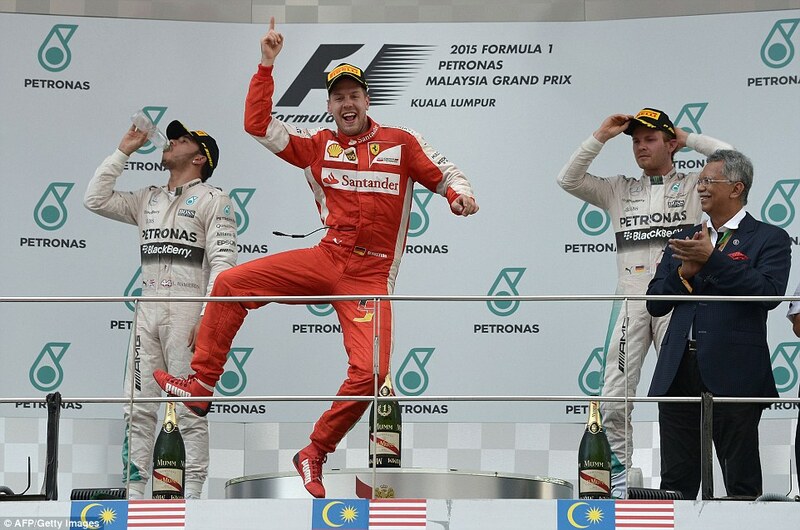 Following a lame start to the 2015 season in Australia, where there was more interest in mid-grid action than the race leader, the Malaysian Grand Prix delivered a shocking result that took everyone by surprise – and sparked hope for a more interesting Formula 1 year than set out in Melbourne. And it only took one suggestion from Nico Rosberg at a post-race conference…. “I think the next couple of races we’re going to be leading the way for sure, and we’re going to try and keep it that way, but we know it would be good if they can come a bit closer, as long as they don’t come too close…” said Nico Rosberg at a post-Melbourne conference. 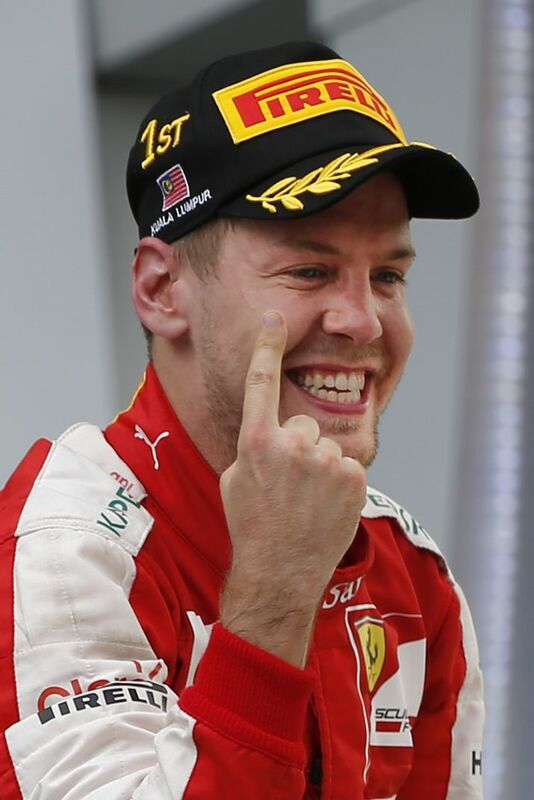 But Sebastian Vettel, who had finished third, rebutted: “Be honest. Do you really hope so? Seriously? You finished 30 seconds ahead of us and you hope it’s going to be closer? So you hope you slow down? Is that what you’re saying?”. “I hope that you can give us a challenge! Because it’s important for the sport and for the fans,” was Rosberg’s reply. The picture was not looking to change during the weekend at Sepang, as the Silver Arrows dominated the practice sessions and were set to claim their tenth consecutive front-row lockout in qualifying… if it wasn’t for Vettel. Costly mistake: Ericsson’s exit contributed to Mercedes’ demise in Malaysia. The German split the two favourites as his Ferrari clocked the second fastest time of the session – only 0.074sec behind poleman Lewis Hamilton, with Nico Rosberg a further 0.4sec behind. On race day the expectation was for the four-time champion to hold position as best-case scenario, and the event began to pan out that way, when Hamilton shoot out to the front, leaving Vettel defending from Rosberg. Despite some dicing for position in the middle of the field on the first few corners, which left Ferrari’s other driver Kimi Raikkonen and the Lotus of Pastor Maldonado with punctures that needed attending to, there were no causalities of Malaysia until lap 5, when Marcus Ericsson spun out onto the gravel, where he finished his race. As a crane was deployed to retrieve the Sauber, so was the safety car, which in turn sent a chunk of the field into the pits for an early tyre change. The two Mercedes drivers were among them, and dropped back to lower positions in the top 10 as they emerged among the traffic, while Vettel stayed out to become the race leader. Having kept on his original tyres until lap 17, the German allowed himself a two-stop strategy in a three-stop race; and, lo and behold, this proved to be the winning tactic. It was an eye-rubbing moment when the Ferrari crossed the line with more than 8sec to spare ahead of Hamilton. Forza Ferrari: Vettel’s win was the team’s first since 2013 Spanish GP. 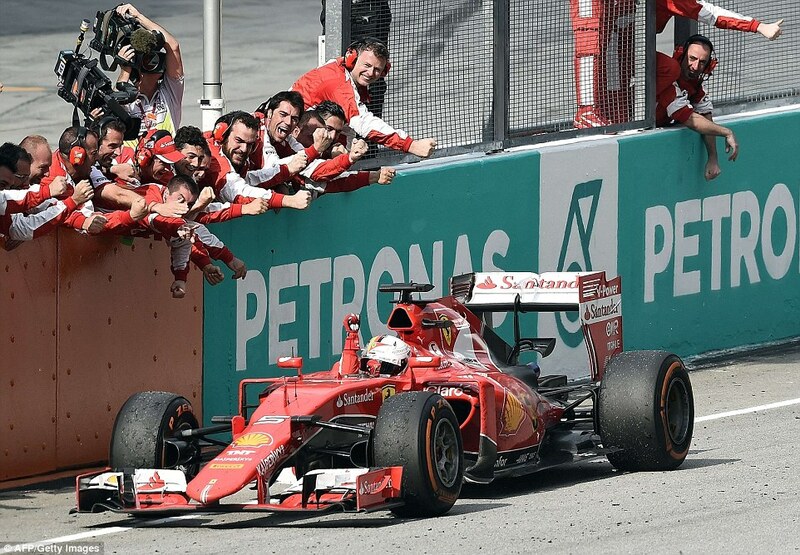 Although tyre management was the key contributor to Vettel’s win in Malaysia, much can be said about Ferrari’s outright speed as the second major factor, since the German’s team-mate Raikkonen was the first to cross the line outside the podium points, despite poor qualifying and his first-lap puncture. But put the Prancing Horse aside, there was little competition imposed by the remaining teams, with point finishes coming in pairs: two Williams and four Red Bulls closing the top 10. Valtteri Bottas, who did not run in Australia due to a bad back, outperformed his team-mate Felipe Massa finishing 5.; and it was also the Red Bull juniors who outshone their more “senior” counterparts, as rookies Max Verstappen and Carlos Sainz finished ahead of Daniil Kvyat and Daniel Ricciardo respectively (with the 17 year old Verstappen becoming the youngest point scorer in F1 history). 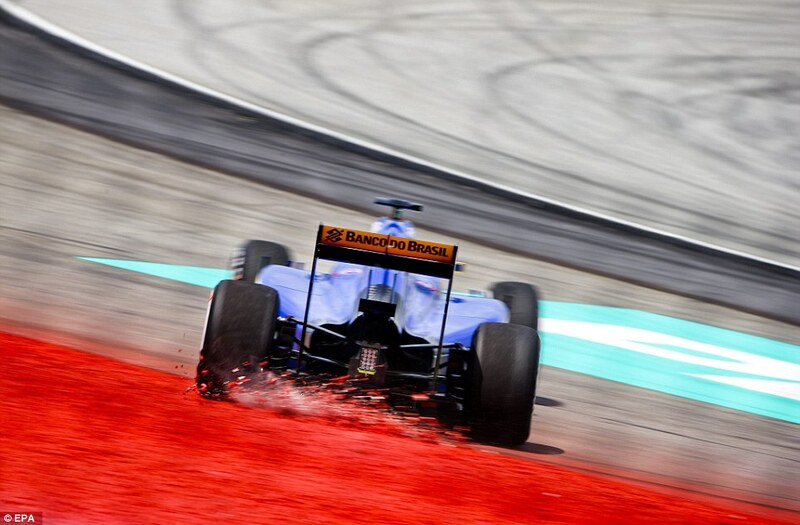 All in all, 15 drivers were classified following the Malaysian Grand Prix – as many as had started in Melbourne a fortnight earlier – with four DNFs (did not finish) and one non-starter: Manor’s Will Stevens. The team finally had it’s debut – as did its second driver, Roberto Merhi, who crossed the line last. This was still a better achievement than that of the limping McLaren, whose both cars retired due to power unit failures. “This whole weekend has been better than I expected. The main positive to take away from today is the fact that we were able to run with other cars – Jenson [Button] and I weren’t simply fighting with each other,” said Fernando Alonso, who also had his debut in Malaysia, as he missed Melbourne due to an accident in winter testing. The finger is back – but for how long? The Spaniard has taken a positive stance on his switch to the Woking outfit, but it’s difficult to believe he would not feel somewhat disappointed seeing Ferrari back to its winning ways, just as he bid the team goodbye. The surprising turnaround at Sepang would also be a bitter pill for Red Bull, who saw their golden boy Seb achieve the unachievable – which is what they believed a win over Mercedes would be without FIA’s intervention. The Malaysian Grand Prix is a perfect example of Formula 1’s changing fortunes; it greeted Sebastian Vettel as a welcome title contender – when once the German was booed by crowds for dominating the sport. And while now Ferrari looks a likely Mercedes’ challenger, the picture resembles all too much that of 2014, when Red Bull claimed the only three wins that didn’t go to Brackley that season – and that, one has to admit, is far from “challenging”.